Creating your will isn't the most pleasant task, but it's undoubtedly important. Despite many people's inclination to put off writing their will, having one will protect your assets and provide peace of mind for your family after you're gone. Regardless of your age or health, you should be well-prepared for the unexpected and have a well-written last will and testament. When it comes to preparing a will, many people often ask: What makes my will legal? Do I need a lawyer to prepare my will? A will is valid as long as it meets the legal requirements of your state, whether a lawyer drafted it or you did so yourself. Though you're not legally required to hire a lawyer to create your will, it is certainly helpful to do so. The main reason someone may choose to prepare their will on their own is to save money. An estate planning lawyer typically charges a few hundred dollars to help you prepare your will, but it's money well spent. By doing it yourself, you run the risk of not complying with state laws or providing the best tax benefits for your estate and beneficiaries. Working with an experienced attorney will provide you peace of mind knowing your wishes will be fulfilled and that the document will stand up in a court of law. Hiring a lawyer is particularly important if you have special circumstances involving unusual, significant or complex assets, own a business, have minor children, have been remarried, or think your will could be contested. While online forms are available to help you draft your will yourself, these forms will not be designed for your unique needs. In order for your will to be legal, you must date and sign it and it must be signed by two witnesses. Your witnesses cannot be the heirs of your will. Once created, keep your will in a safe place, where your executor can access it when necessary. 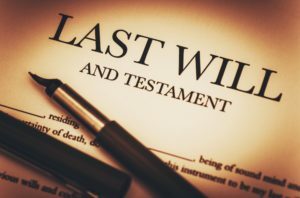 For assistance with your will please contact our estate planning and estate litigation lawyers at Catanese and Wells.